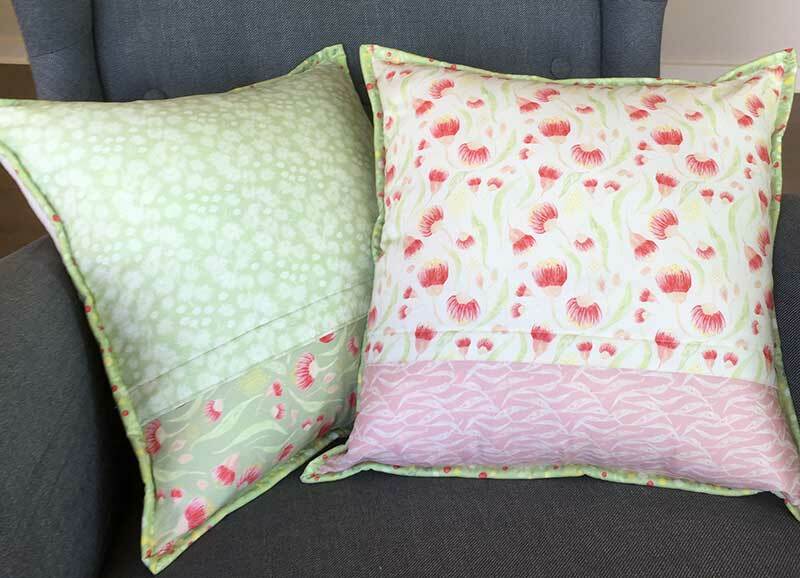 Gorgeous fabrics, designed by an Aussie, with iconic Aussie flora on it….. Yes Please! Sign me up for that blog tour! 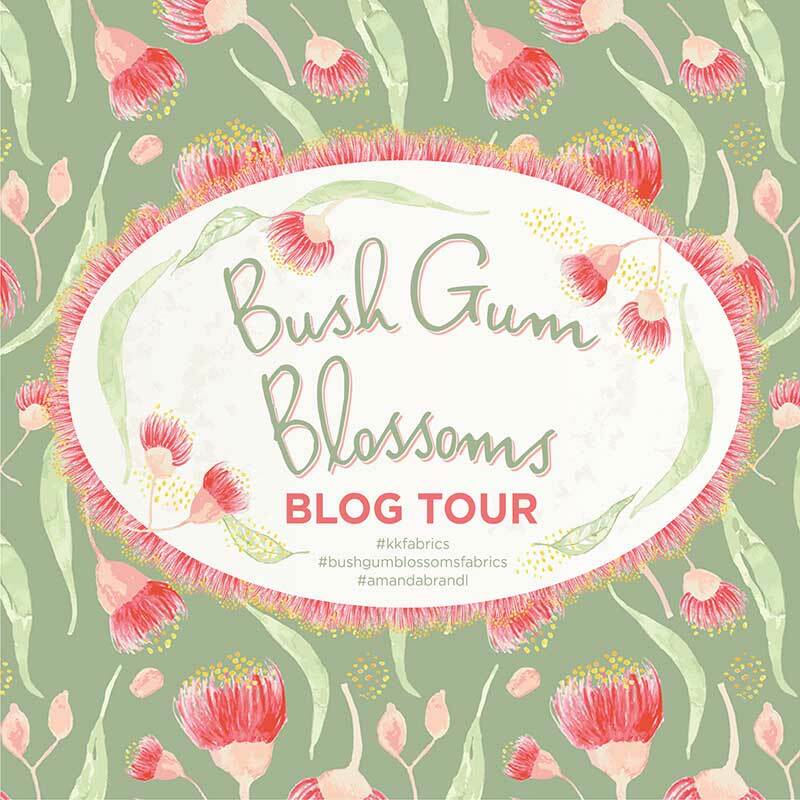 Bush Gum Blossoms is Amanda Brandl‘s first fabric line for Kennard & Kennard Fabrics and it is a delight! 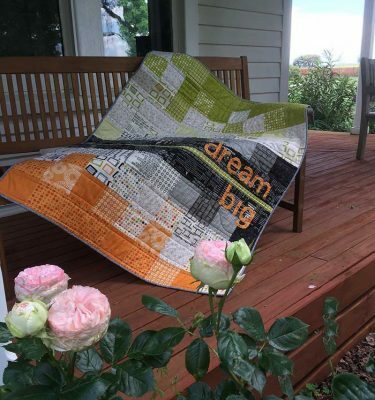 I met Amanda Brandl at Australian Quilt Market last November and got to see her gorgeous fabrics up close…. and I couldn’t wait to get them in my hot little hands for her blog tour! 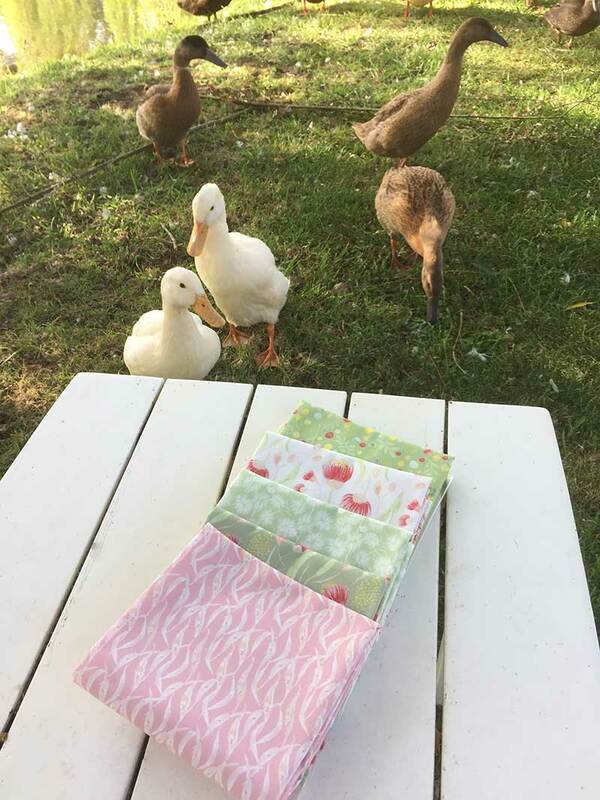 Our very curious runner ducks seemed to love them too! Lovely soft colours.. with gum leaves and gum nuts and flowers…. really sweet and very Australian. 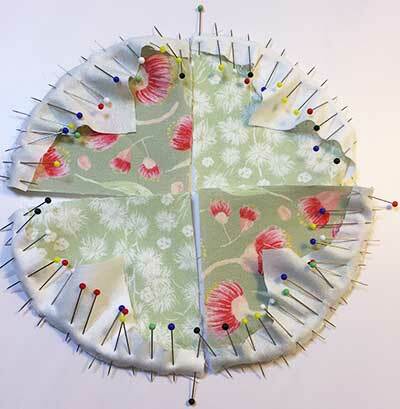 And the feel of the fabric is just lovely – it was a delight to work with. I always joke that fabric speaks to me…. (yes… there may need to be some quality time on a therapist’s couch….) 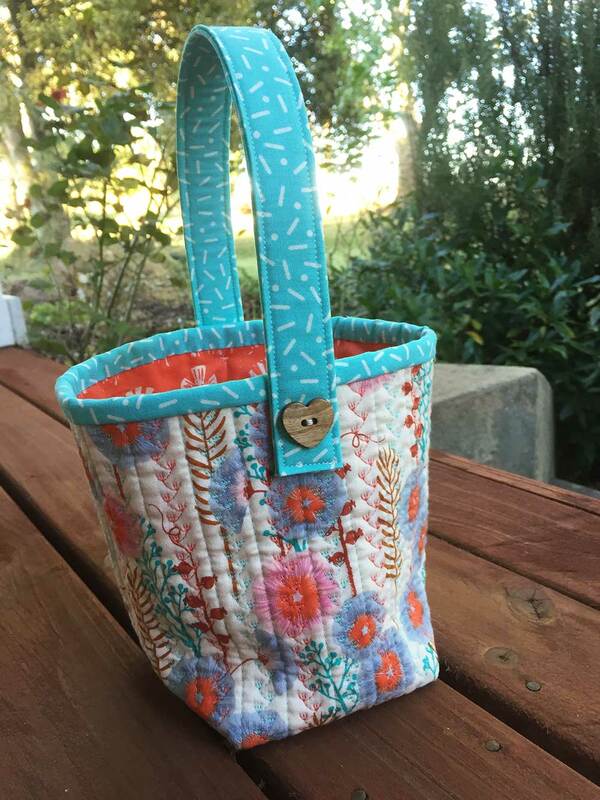 but sometimes when I see a fabric line I know JUST the pattern that needs to be made with it. I managed to get them all done and put together. 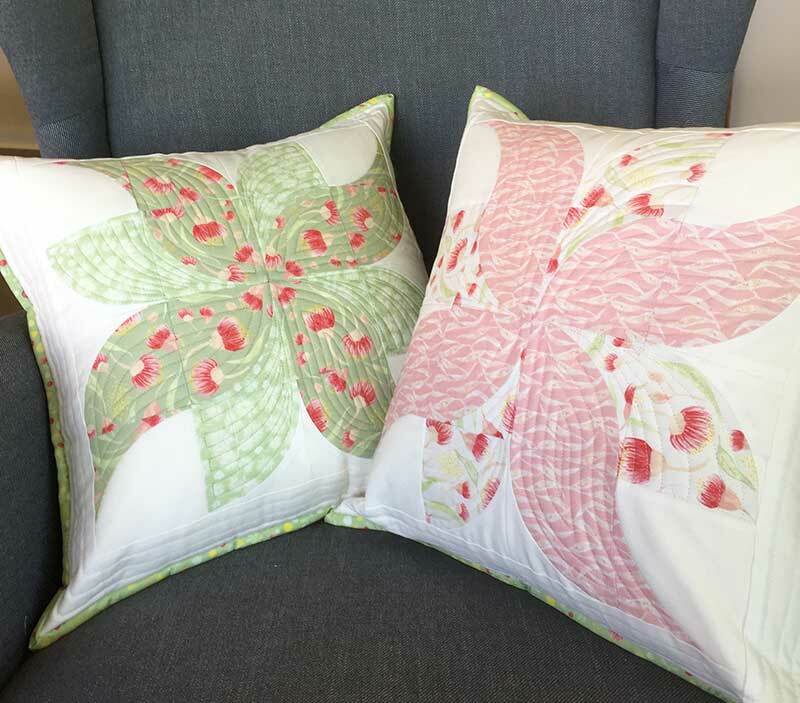 My original thought was to make two blocks and put one on each side of a cushion… but once I saw the fabric I decided I really needed TWO cushions as it was just so gorgeous! 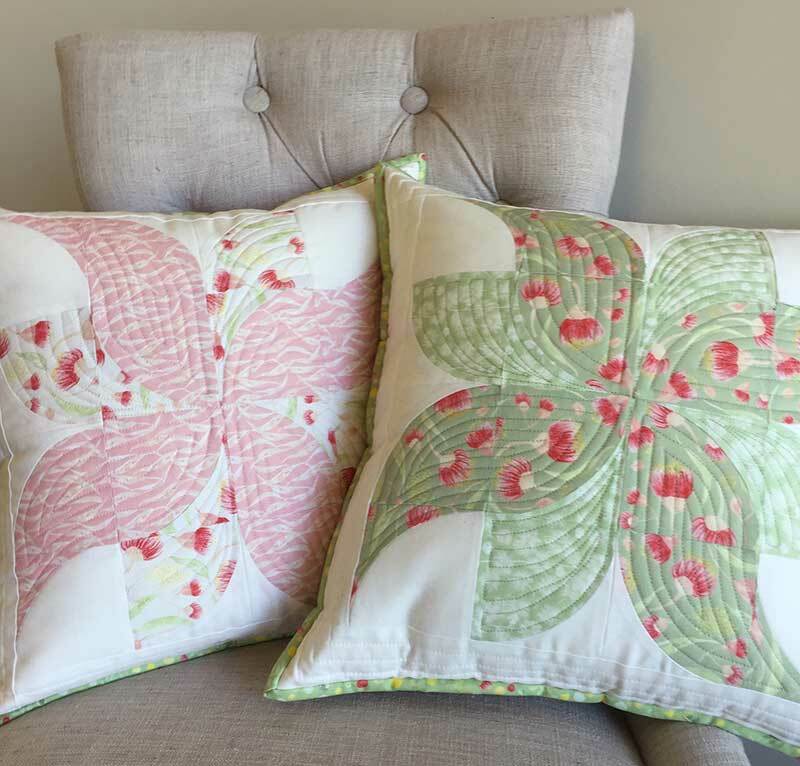 Because the only thing better than one gorgeous cushion, is having a matching pair of gorgeous cushions! Oh I had so much fun making these! 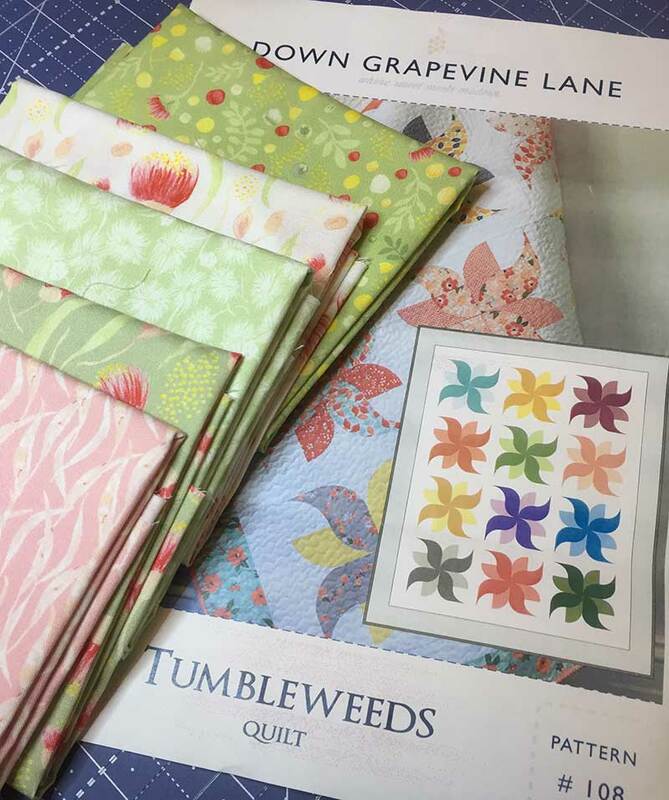 And I went to town on the quilting… just using my walking foot and followed the lovely curve of the petals of the tumbleweed flower! 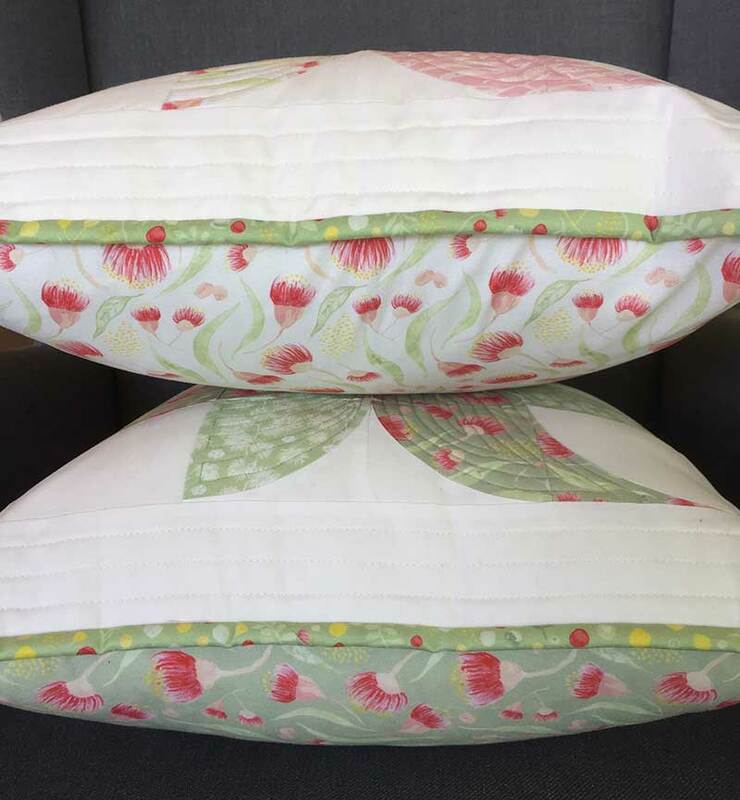 And I was able to make up the back side of the cushion with the left overs from the two fat quarters used on the front. Oh I could so keep spamming you with photos of these gorgeous cushions (I’ll post a few more on my Instagram accounts!) 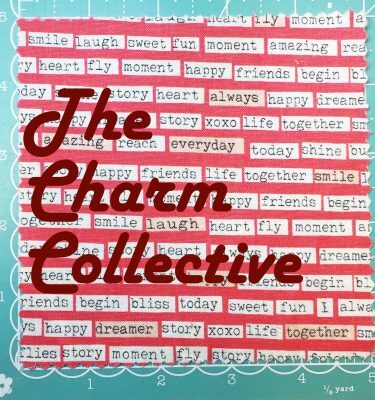 but time to tell you about all the other lovely people on this blog tour and the amazing things they have been making! I will update the links for the upcoming days on the tour as they are released and you can also go to Amanda’s Blog post to see them all as well. 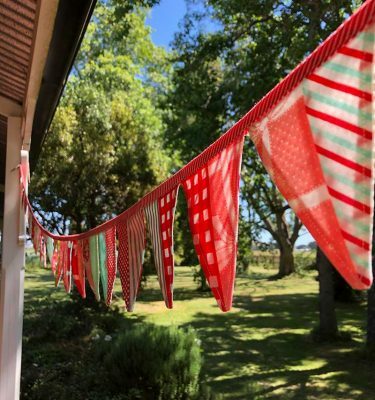 Amanda also has a list of stockists on her website Bush Gum Blossoms Stockists so you can find a quilt shop near you to get some of the gorgeous fabrics yourself! 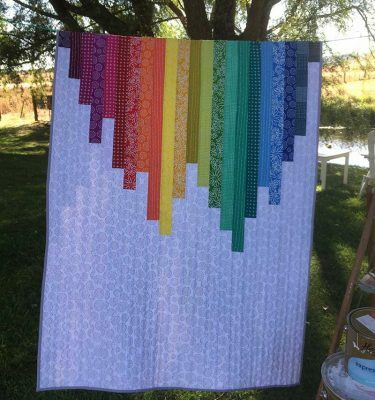 Amanda also sells her fabrics on her website if your local Quilt Shop hasn’t got them. This is one of the things on my #2018FAL list that there was NO WAY I was going to miss out on finishing! 🙂 Click here to view the original blog post to see the others that didn’t quite make it into the finishalong! Haha…. thank goodness for no orange! I was surprised that the small drunkard’s path blocks from Sedef’s pattern actually came together quite well. LOTS of pinning, but the sewing was easy peasy. Then just some patience lining up seams/joins etc. But I love how they turned out! 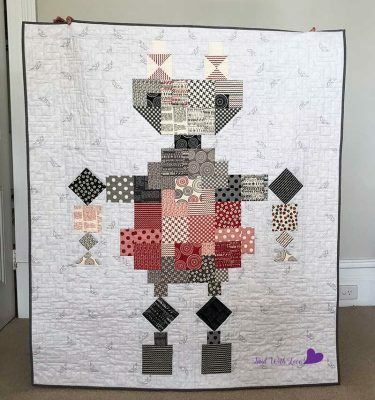 Keep an eye out for the fabric, coz it is just gorgeous! BEAUTIFUL WORK ! THANKS FOR SHARING!